Mitsui O.S.K. Lines, Ltd. announced the publications of its Annual Report 2015 and Safety, Environmental and Social Report 2015. The Annual Report, with the cover title “Onward – The Next 130 Years -“, explains progress on the midterm management plan “STEER FOR 2020,” as well as tasks remaining to be completed on the plan, initiated in FY2014 to mark the 130th anniversary of the company’s founding. The report opens with a special feature article highlighting the social significance of the ocean shipping industry and the value MOL aims to create. In addition, MOL strove to ensure readers fully understand its strategies as the company sails ahead toward the next 130 years, using the international integrated reporting framework as a reference to explain long-term value creation. 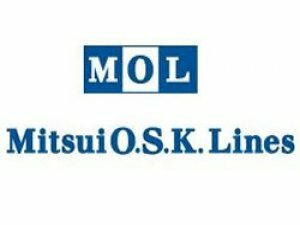 Called the “Environmental and Social Report” until last year, MOL’s Corporate Social Responsibility (CSR)-related publication was renamed the “Safety, Environmental and Social Report 2015″ to more accurately reflect the MOL Group’s worldwide leadership in safe operation. By referring to the fourth edition of the Global Reporting Initiative (GRI)(*) sustainability reporting guidelines, the report provides a detailed look at MOL’s Environment, Society, Governance (ESG) activities, its social role in the ocean shipping industry, and initiatives on safe operation. The report also introduces MOL CHART, which was designed to convey the values shared by the MOL Group’s diverse, multinational workforce as they seek to maximize their skills and abilities in every position. The report’s objective is to give readers a thorough understanding of the MOL Group management policies as works to grow sustainably in step with society.